If you’ve decided to stay indoors and cook up a storm in the kitchen, then add one of these desserts to your menu as you’ll be in for a real treat. Our list of desserts will satisfy anyone with a sweet tooth. 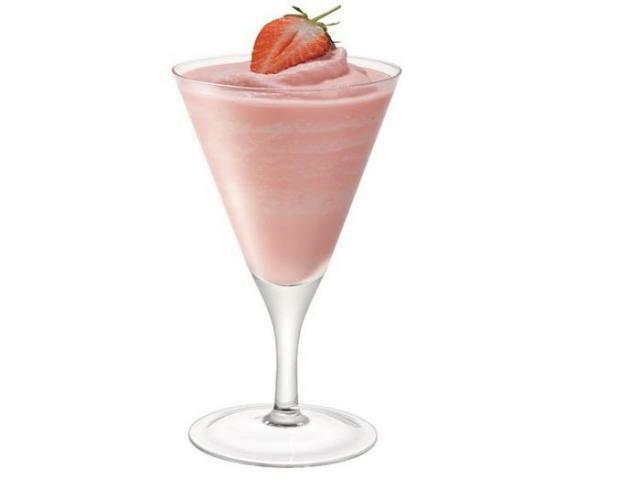 This flirty pink coloured drink may not be an actual dessert but how can you exclude a cocktail out of the list of things to try for a date? A simple, delicious and refreshing drink is sure to tickle your taste buds and have your honey asking for more. Blend all the ingredients together until you achieve a smooth texture. Pour the puree into a chilled cocktail glass. Add a strawberry as garnish. Save time by trying this delicious cake in a matter of minutes! The Red Velvet Pot is a great dessert option if you enjoy cake but don’t want to spend too much time baking. Add milk and white vinegar into a cup and set aside for later. Using a small bowl, add flour, sugar, cocoa powder, baking powder and salt, and combine. Using a separate bowl, combine the vegetable oil, egg, vanilla and food colouring. Once completed, add this mixture to the flour bowl along with the milk mixture and combine. Divide the batter into two mugs; be sure to keep the mixture from filling the halfway mark of the mug. Microwave each mug individually for 90 seconds. Once completed, the texture of the cake should be firm and springy and not doughy (raw). If you find that the cake still has a doughy texture, microwave for 15-second intervals. Do not microwave longer than two minutes. Allow the cake to cool for three minutes while you create a heart stencil. To create the stencil simply cut a circle of parchment paper that will fit inside the rim of the mug. With the circle-shaped parchment paper, cut a heart out of the centre of the circle. Place your heart stencil on the cake and shake on a powdered sugar heart. 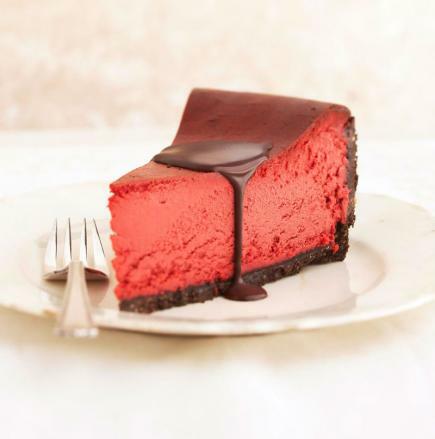 If you love cheesecake but find that simply placing strawberries isn’t enough of a look for a romantic dessert, then the red velvet edition is exactly what you need. Fresh raspberries and/or small whole strawberries (optional). In a medium-sized saucepan, melt the chocolate and the ½ cup of butter over a low heat. Transfer the mixture to a bowl and allow it to completely cool. Place the wafer biscuits, chocolate pieces, almonds and brown sugar into a food processor. Process the ingredients until finely grounded. Add the melted butter to the biscuit mixture and blend well. The mixture should resemble crumbs. Transfer the crumbs to a cake tin that has a removable bottom. Press the crumbs onto the bottom and up the sides of the tin. You should leave 13mm space at the top. In a large mixing bowl, beat the cooled chocolate mixture, cream cheese, sour cream, sugar, buttermilk and red food colouring with an electric mixer on a medium to high speed until all ingredients are combined. Add the four eggs and two egg yolks all at once to the mixture and beat on a low speed until the mixture is combined. Once the mixture is combined, pour it into the crumb-crusted cake tin. Bake for an hour at 180 degree Celsius. Remove the cake tin from the baking pan. Allow the cheesecake to cool on a wire rack for 15 minutes. To loosen the cheesecake from the sides of the pan, gently use a small metal spatula. Allow the cheesecake to cool for an extra 30 minutes. After the 30 minutes remove the sides of the pan and then cool once more for one hour, and cover to chill in the fridge for at least four hours. When you are ready to serve the red velvet cheesecake, dust powdered sugar and cocoa powder on the top. 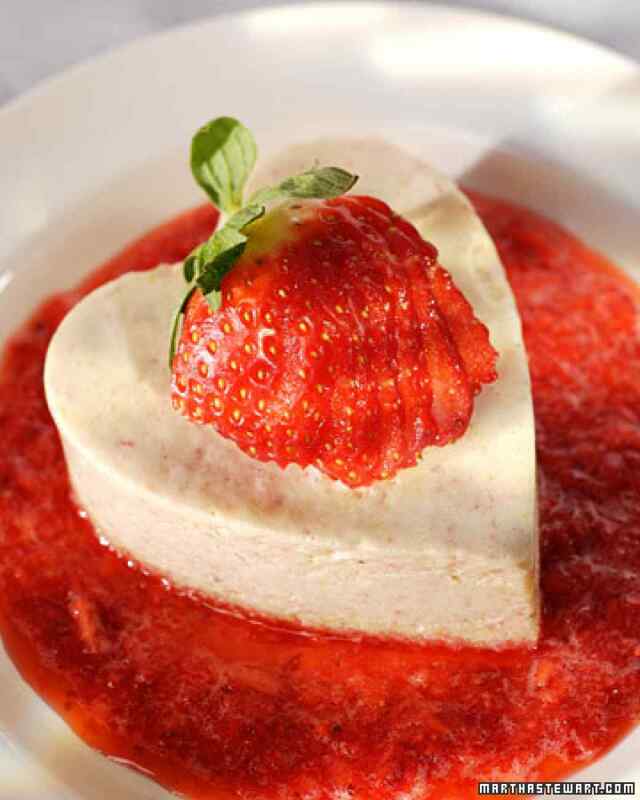 Garnish the centre of the cheesecake by placing chocolate leaves and fresh raspberries, or strawberries if you like. If you love living life on the sweet side then the Coeur a la Crème’ is exactly what you need for a romantic date. 12 edible sweetheart rose petals. Place one sheet of phyllo dough on a clean and dry surface. Before continuing, place a damp (clean) kitchen towel over the remaining phyllo sheets. With a pastry brush, brush the phyllo lightly with a melted butter. Place two teaspoons of confectioners’ sugar in a fine colander and dust the phyllo with the sugar. Top the phyllo dough with another layer and brush with melted butter. Once again, dust the sugar over the phyllo dough. Continue this process with the remaining five sheets of phyllo dough. Fold the stack of phyllo dough in half. Transfer the phyllo dough to the baking sheet and allow it to cool until the butter solidifies, which should take a minimum of 10 minutes. Using a Coeur a la crème mould, cut out four hearts from the layered phyllo dough with a paring knife. Remove the excess dough from the baking sheet and discard. Bake the phyllo hearts until it turns golden brown, this should take a minimum of 10 minutes. Once completed, transfer the baked goods to a wire rack to cool. Cut out four 10-centimetre squares of cheesecloth. Dampen the squares with water, line the Coeur a la crème moulds, and set aside. Place the cottage cheese and one tablespoon sugar in the bowl of a food processor that has a fitted blade attachment. Process the mixture until smooth, which should take up to two and a half minutes. Add cream cheese and beat until smooth for a minimum of one minute. Add yogurt and beat it for 15 seconds. Thereafter, divide the cheese mixture evenly among the moulds. Each mould should have 3/4 of a cup per mould. Fold the overhanging cheesecloth over the top of these moulds. Place the moulds on an unlined baking pan and transfer it to a fridge. Allow this mixture to drain for four hours or even overnight. Cut the pomegranate in half. Reserve two tablespoons of seed for the garnish. Transfer the remaining seeds of the pomegranate to the bowl of the food processor. Puree the seeds for 30 seconds. Pour the puree into a colander and place it in a medium-sized bowl. Press the puree to extract the juice. Whisk the remaining teaspoon of sugar into the juice. When you are ready to serve, place the phyllo hearts on plates. Lift the cheesecloths from the moulds and flip the cheese hearts onto the phyllo hearts. Once again, remove the cheesecloth. 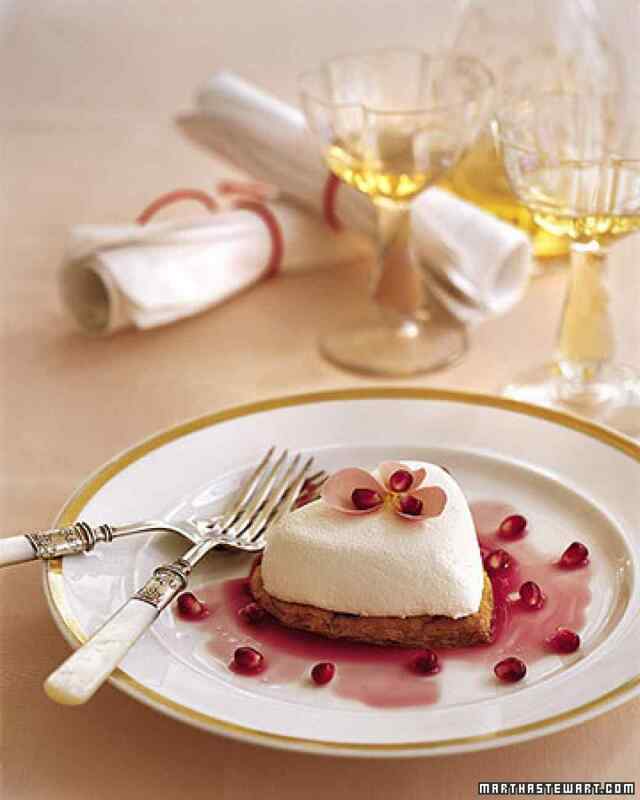 Drizzle the juice over the hearts and as a final touch add your pomegranate seeds and some rose petals on the top. Over the years, this frozen dessert has taken on many forms, it’s a done deal that you should put a romantic spin on this classic. Slice the sponge cake sideways into four 1/4 slices which should be approximately six millimetres thick individually. Using a heart-shaped cookie-cutter (should be approximately 80 millimetres), cut out heart-shaped slices from the cake. Place the cutters with the cake still intact onto a baking sheet and set aside. Fill a medium-sized saucepan with five centimetres of water. Wait until the water has come to a boil, reduce the heat, and allow the water to simmer. In an ovenproof bowl, add whole eggs, egg yolk, the three tablespoons of sugar and a pinch of salt, and then combine. Place the bowl over the simmering water (ensure that the bowl doesn’t touch the water), and whisk the egg mixture until it reaches 140 degrees. You can use an instant-read thermometer. Transfer the bowl to an electric mixer that has a whisk attachment and mix the ingredients until it thickens and form ribbons. In the meantime, using another bowl, combine strawberries and the remaining 1/2 cup sugar, lemon juice and pinch of salt. Process the ingredients until finally chopped and then set aside. Use an electric mixer that has a whisk attachment, beat the heavy cream until soft peaks form. Gently fold the whipped cream into a yolk mixture, afterwards adding the strawberry mixture until all ingredients are combined well. Top the cake-filled moulds with the mixture. Place the moulds in a freezer to freeze overnight. Refrigerate the remaining strawberry mixture overnight as well. The next day, remove parfaits from the moulds using a warm dishcloth. Allow the strawberry parfaits to stand for 20 minutes. Drizzle the plate with the remaining strawberry mixture before serving the parfait. Use your sliced strawberries as a garnish by placing it on top of the parfaits. 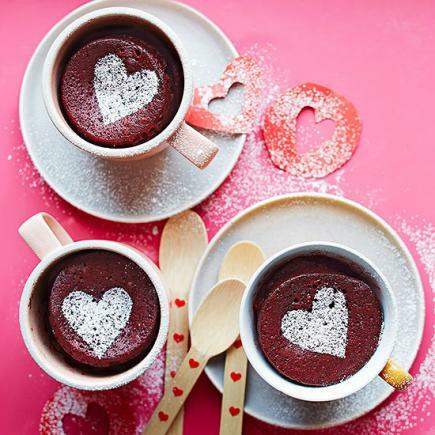 While purchasing gifts might be the ideal or easier option when spoiling your loved one, this Valentine’s Day create something special such as the above-listed desserts, which will show that you have put in the effort and thought.